Cervical spinal stenosis is a condition that most often occurs in individuals over the age of 50 that can result in debilitating symptoms if not treated properly. In this article we’ll outline the details of cervical spinal stenosis and provide you with some tips to treat your cervical spinal stenosis symptoms from the comfort of your own home. The cervical spinal canal usually provides enough space for the spinal cord and associated nerve roots. Research has shown that while the diameter of the spinal canal varies among individuals, on average the C1 vertebrae (the very 1st vertebrae of neck) is approximately 21.8mm in height and the spinal cord makes up about 50% of the spinal canal, whereas the C6 vertebrae is about 17.8mm in height and the spinal cord takes up about 75% of the spinal canal. Cervical spinal stenosis refers to a narrowing of the spinal canal in the cervical spine (neck). The narrowing of the spinal canal can lead to compression of the spinal cord and associated blood vessels. •	Numbness, tingling, and/or weakness in the arm, hand, leg, or foot. •	Difficulty with fine motor skills of the hands. •	Generalized electric shock in the arms and trunk, especially when the head is bent (L’hermitte sign). •	Bladder or bowel issues (i.e. incontinence and urinary urgency). •	In severe cases may lead to significant loss of function and paraplegia. Cervical stenosis can be either congenital, meaning the individual has a genetic predisposition that results in an abnormally small spinal canal, or acquired. •	Osteophytes (bony spurs that are often associated with osteoarthritis). •	Inflammation and/or scarring of spinal ligaments. •	Spondylolisthesis (shifting of one vertebrae on top of another). •	Systemic bone disease resulting in bone overgrowth in the spine (i.e. Paget’s disease). •	Spinal injuries resulting from car accidents or other trauma, such as fractures, can result in displaced bone damaging the spinal canal. •	Spinal surgery can lead to swelling of nearby tissue that puts pressure on the spinal cord and/or nerves. One of the first things that you can try at home to relieve your symptoms is applying ice and/or heat packs to the area. Ice packs can be applied to the affected area for 10 to 15 minutes at a time, and moist heat packs can be applied to the affected area for up to 20 minutes. Ice helps to control inflammation and heat therapy helps to improve blood flow to the area and soothe affected muscles. Another option is over-the-counter medications including NSAIDs, such as naproxen and ibuprofen. These medications may be used to help control inflammation and relieve pain. 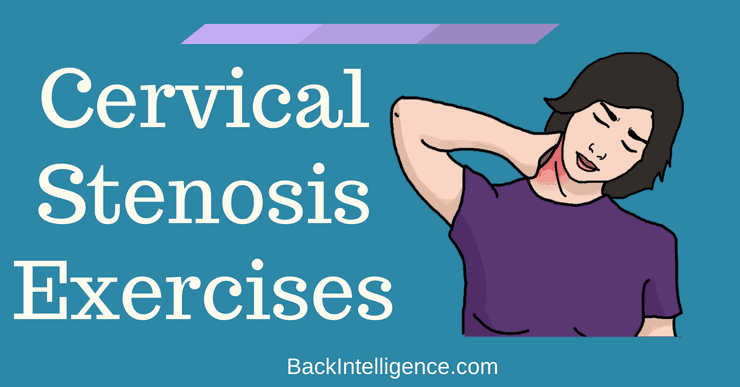 The exercises below can help to improve your posture and increase the flexibility and strength of your upper back and neck, thereby helping to manage your cervical stenosis symptoms. •	Begin in either a standing or seated position. •	Align your chin so that it’s parallel to the floor. •	Pull your head backwards. •	Hold this retracted position for 15 to 20 seconds. •	Aim for 3 repetitions of this stretch. •	Begin in a standing position with your arms by your sides. •	Keep your neck and head in a neutral position. •	With your chest lifted, pull your shoulders backwards while squeezing your shoulder blades back and down. •	Hold for a count of 10 seconds (work your way up to 30 seconds). •	Return to the starting position. •	Aim for 5 repetitions of this exercise. 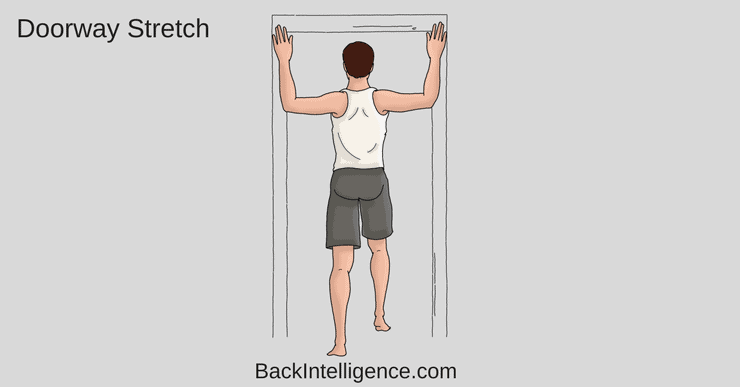 – Position your elbows and hands in line with a doorframe. – Step through the door slowly, until you feel a stretch. – Hold this end position for 15 to 20 seconds before returning to the starting position. – Repeat this stretch 3 times. 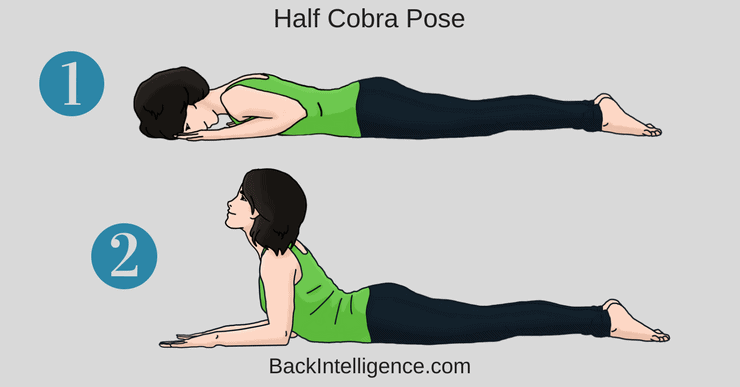 •	Begin lying on the ground with your hands flat on the floor at the level of your shoulders. •	Slowly push your hands to raise your shoulder off of the ground until you feel a slight stretch. 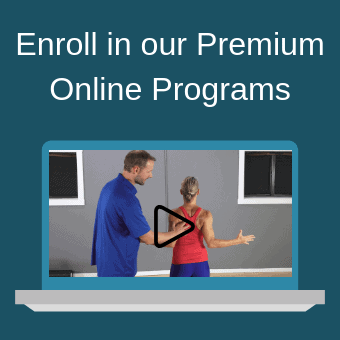 •	Increase your range of motion by exhaling as you push further into lumbar extension. •	Aim for 5 repetitions of this stretch. 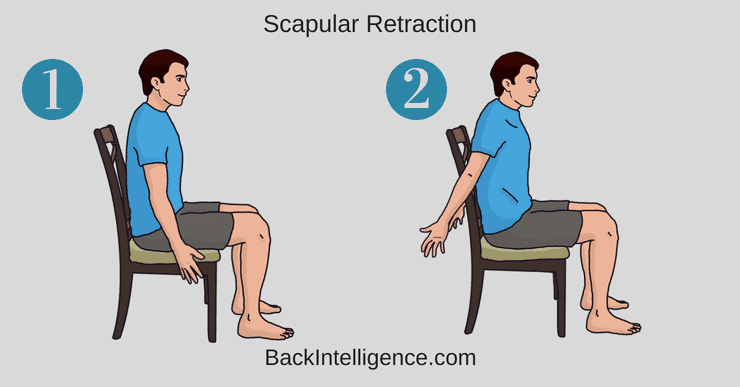 •	Begin in a seated position with your back positioned straight in a chair. 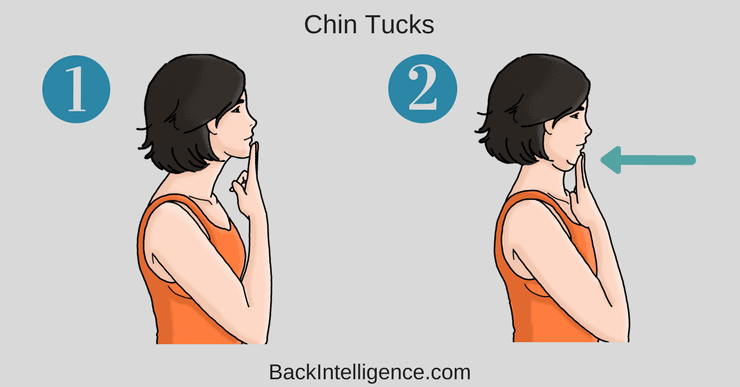 •	Tuck your chin in slightly towards your chest. •	Slightly bend your head towards the left. •	Hold this position for 15 to 20 seconds. •	Aim for 3 repetitions of this stretch on each side of your neck. While many cases of mild cervical spinal stenosis can be managed with conservative treatment options including ice, heat, NSAID’s, and stretching/strengthening, in some cases symptoms will continue to worsen. If you do not notice a rapid improvement in symptoms with home care, it’s important to seek medical advice to determine if you need surgery to improve your condition. 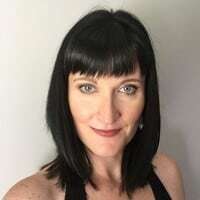 Thank you so much for this article, my doctor as well as my physical therapist have recommended many of the same exercises that you have shown on this page. Hi Jay, awesome, glad you like it.